The Mill Works is dedicated to teaching the right way, which is why we designed the original program: Lil’ Hoopers, offered for all children aged 4-9! In just three seasons, we’ve had more than 200 kids join Lil’ Hoopers, and the program is growing in size and excitement! Rather than having young children struggle with basketballs that are too big for their age and a basket that seems to be a mile in the air, Lil’ Hoopers lowers the baskets to 8 or 9 feet and uses smaller basketballs to more effectively teach fundamentals. 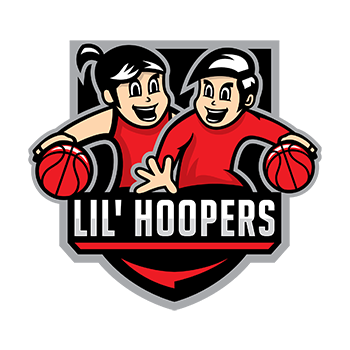 At Lil’ Hoopers classes, children will learn proper shooting mechanics without having to heave the ball 10 feet into the basket, hone their dribbling skills, and develop around kids their age! Spring Schedule Is Posted – Sign-up now! Winter classes are now open! This winter we have two separate levels of play. Lil’ Hoopers and our new Lil’ Hoopers plus which we piloted during at the end of 2018. Ages 4 to 7 // This group is for anyone 4-6 years old, and newcomers who are 7 years old and still learning what basketball is. The hoops are lowered to 8 feet, and players will play more games than just basketball. We do lots of games involving dots that are based around shooting, as well as tag based games to get kids moving. Ages 7 to 9 // This group uses 9 foot hoops and is the more advanced portion of our program. The first 30 minutes are skill development based, with the last 30 minutes being team scrimmages. Class caps at 15. Register quickly to reserve your spot, first come first serve.